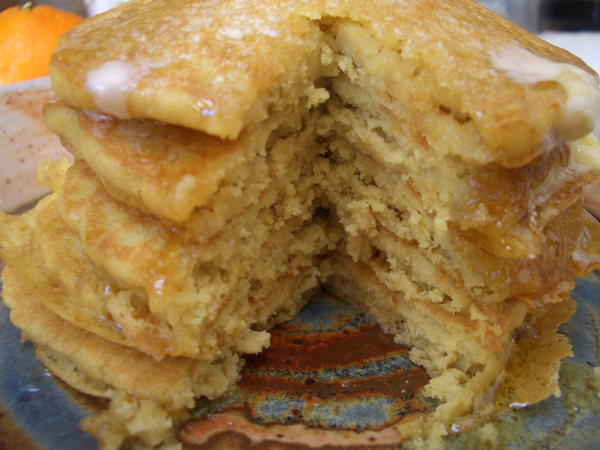 The pancakes tasted great and the thing I loved about them was I didn’t experience the pancake coma that usually sets in shortly after consuming a short stack of wheat flour cakes. Before we get started, do keep in mind these pancakes taste like quinoa–a little sweet, a little nutty, a little bitter. I think it’s important with gluten-free recipes to give them a test run to make sure the flavors and textures appeal to you (and those you love with fussy taste buds) rather than just going for it on Christmas morning. 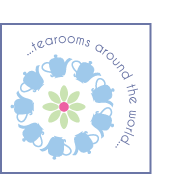 For those unfamiliar with quinoa (pronounced keen-wa)… it is one of the oldest cultivated grains in the world. It is a low glycemic food, high in protein and fiber and contains more minerals than most other grains. Maple syrup, honey, preserves, lemon curd, fresh fruit for topping. *If you want to keep the glycemic load down you could use brown rice syrup or date palm sugar or no sugar at all and top the cakes with fresh fruit. *I used unrefined virgin coconut oil, but you could use any vegetable oil or melted vegan margarine (non-hydrogenated please). If using coconut oil you will get a bit of coconut flavor added to the cakes, but it’s very slight. 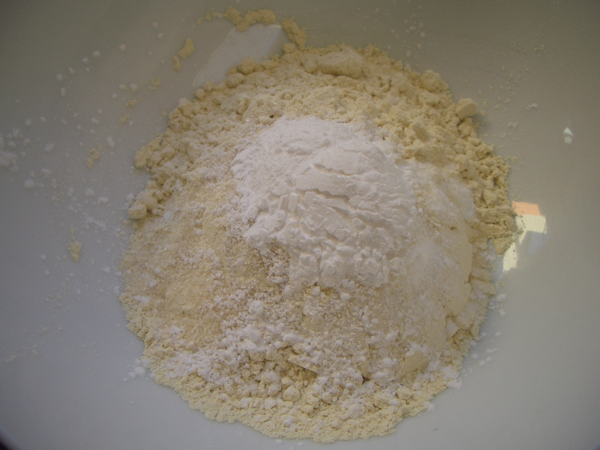 Whisk together the flour, tapioca starch, soda, sugar and salt in a bowl. In a separate cup or bowl, whisk together the almond milk, lemon juice and oil. 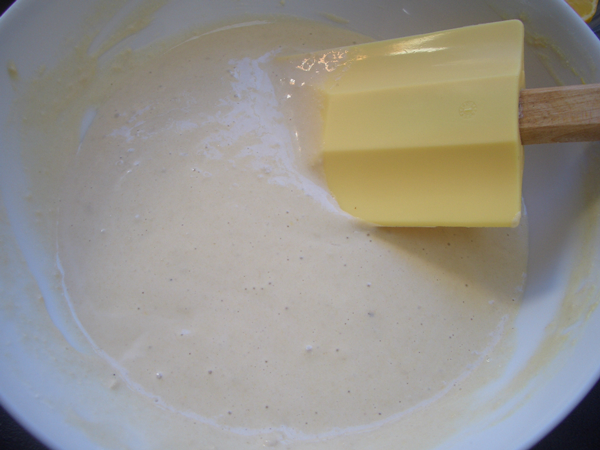 Mix the wet ingredients into the dry until you get a smooth batter. It might not get totally smooth, but you don’t want it to have the lumps usually found in wheat flour batters. Add the lemon zest and mix well. If the batter is too thick, add a little more almond milk to thin it out. Heat a skillet over medium heat. Brush the bottom of the pan with a little oil. 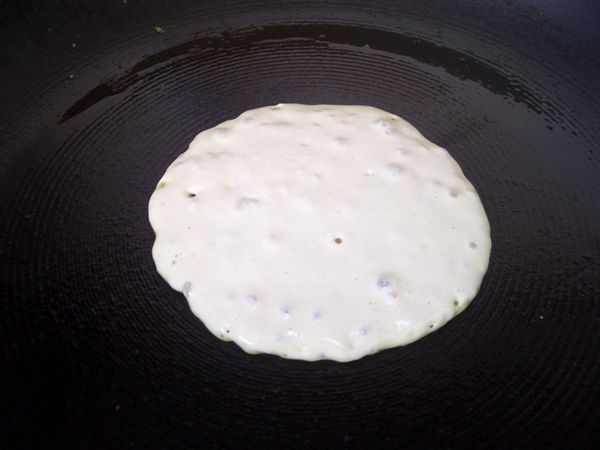 Add the batter to the hot pan about 1/4 cup at a time. 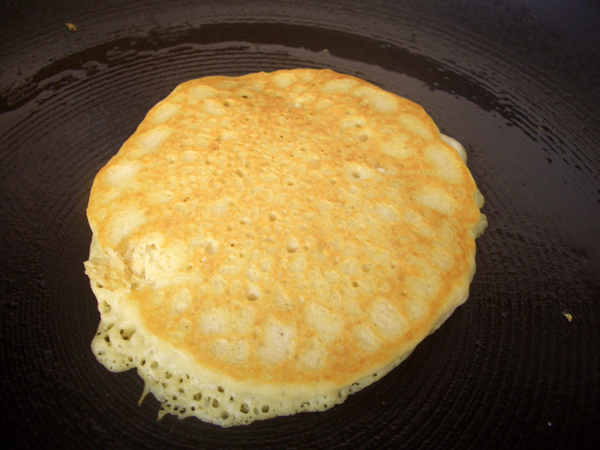 The pancakes cook quickly, 30-60 seconds per side. 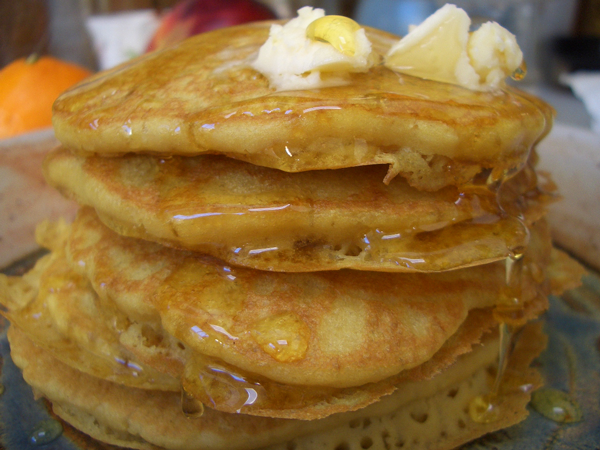 Top the pancakes with vegan margarine or butter and syrup, honey or preserves. You might also continue the lemon theme with a dollop of lemon curd.